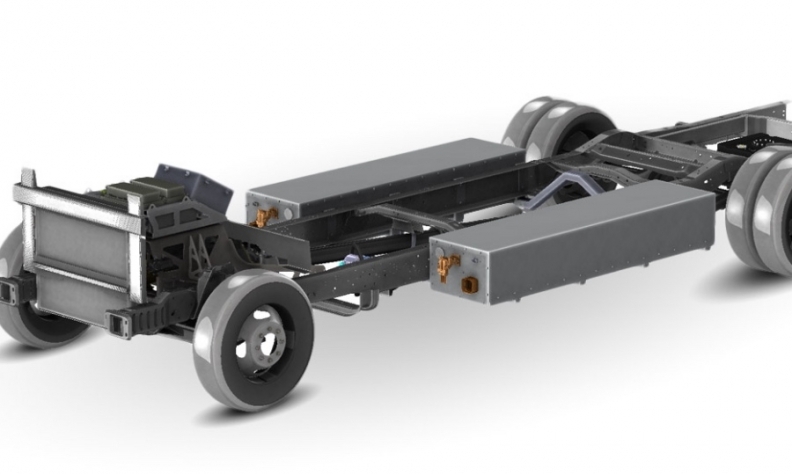 A Quebec company that currently manufacturers conversion kits that turn certain Ford truck models into electric vehicles has its sights set on eventually making complete EVs on its own. Nordresa CEO Sylvain Castonguay told Business News Network on Tuesday that the conversion kits are just “the first step” in the company’s long-term business plan. Nordresa of Laval has already electrified delivery trucks for Purolator, which can go 200 km on a single charge. “The second step is complete electric vehicles,” Castonguay said Tuesday. “The market is good in terms of operators being ready for electric vehicles and the battery price being right. The operators can actually recover their investment and make money off it. Quebec has a very aggressive plan to get more electric vehicles on the road. The government there has mandated 3.5 per cent of all vehicles sold next year must be zero-emmission vehicles (ZEVs). Quebec, Ontario and B.C. also offers purchase incentives on green cars. You can watch Castonguay’s entire interview in the player below.